Alimta is a folate analog (chemically similar to folate). Folate, the active form of folic acid, is an essential growth factor for the production of nucleotides that serve as the building blocks of DNA. In instances where a cell needs to make new DNA, such as during cell division and cell growth, the presence of folate is especially important. Patients with cancer often have rapidly growing tumors that require large amounts of folate. In these cells, Alimta competes with folate and blocks the production of nucleotides. Without nucleotides, DNA cannot be synthesized and new cells cease to be made. Eventually, existing cells in the tumor die and the tumor begins to shrink. What is Alimta used to treat? A localized or metastatic (spreading) type of cancer called Nonsquamous Non-Small Cell Lung Cancer (NSCLC): Alimta can be combined with cisplatin or used for long-term treatment in patients whose disease has not worsened after four cycles of platinum-based chemotherapy (for example, cisplatin). Alimta can also be used by itself after chemotherapy. A type of cancer called mesothelioma, which occurs in the lining of the lungs: Alimta can be used in combination with cisplatin. A study was performed in 1725 patients with Stage IIIb/IV NSCLC who had never undergone chemotherapy. Alimta plus cisplatin was compared to gemcitabine plus cisplatin. Alimta 500 mg/m2 and cisplatin 75 mg/m2 were administered on the first day of a 21-day cycle while gemcitabine 1250 mg/m2 was administered on day 1 and day 8. Both treatment arms received folic acid, intramuscular vitamin B12 and dexamethasone. Treatment was given for 6 cycles. The median survival time for both groups of patients was 10.3 months. This similar outcome showed that the drugs were comparable as first-line treatments. 663 patients with Stage IIIb/IV NSCLC whose condition did not worsen after four cycles of platinum-based chemotherapy received Alimta or placebo. Of these patients, 47.2% achieved a complete or partial response from Alimta compared to 52.7% on placebo. Additionally, 51.9% of patients on Alimta had stable disease after treatment versus 47.3% of patients on placebo. The median survival was 13.4 months on Alimta and 10.6 months on placebo. Continuation of study: 539 patients with Stage IIIb/V nonsquamous NSCLC continued Alimta after they had finished four cycles of Alimta plus cisplatin. The patients were placed on Alimta or a placebo and received supplementation with folic acid, intramuscular vitamin B12, and dexamethasone. Both drugs were given on the first day of the 21-day cycle. Of these patients, 44% of Alimta patients compared to 42% of placebo patients achieved complete or partial response to therapy. In both groups, 53% had stable disease after treatment. The median survival was 13.9 months with Alimta compared to 11 months with placebo. A study was conducted in patients with Stage III or IV NSCLC comparing survival with Alimta versus docetaxel treatment after having used previous chemotherapy treatments. Both drugs were given on the first day of a 21-day cycle and all patients were supplemented with folic acid and intramuscular vitamin B12. The median survival for patients using Alimta was 8.3 months compared to 7.9 months for docetaxel. 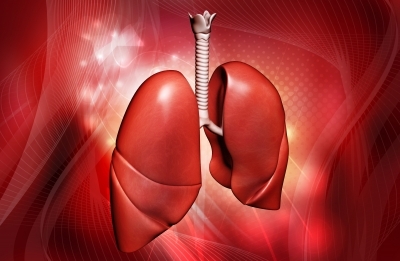 A study was conducted with 448 patients with malignant pleural mesothelioma who had never received chemotherapy before. They were divided into two treatment groups that compared survival in patients receiving Alimta in combination with cisplatin to patients who received cisplatin monotherapy. Both drugs were given on the first day of a 21-day cycle. After white blood cell and gastrointestinal toxicity was seen, folic acid and intramuscular vitamin B12 were given. Patients given Alimta/cisplatin combination showed a median survival of 12.1 months compared to 9.3 months in the cisplatin monotherapy patients. Amongst the patients receiving supplementation with folic acid and intramuscular vitamin B12, the median survival was 13.3 months with Alimta/cisplatin compared to 10 months with cisplatin monotherapy. Although supplementation reduces the risk of low white blood cells, red blood cells and platelets, patients using vitamin B12 and folic acid saw increased blood pressure, chest pain, and blood clots when compared to patients who were not supplemented. In the case of an overdose, there is no rescue medication. Additionally, the ability for Alimta to be dialyzed is unknown. If an overdose happens, general supportive measures are provided. What are the side effects of Alimta? Common side effects of Alimta include fatigue (43%), nausea (56%), anorexia (27%), low red blood cells (33%), low white blood cells (29%), and low platelets (10%). Approximately 14% of patients also experienced inflammation of the mouth, lips and throat. When used with cisplatin, 40% of patients had vomiting, 21% had constipation, and 12% had diarrhea. Hair loss occurred in 12% of patients. Patients should be monitored for a decrease in white blood cells, red blood cells and platelets. This happens because Alimta inhibits DNA synthesis in all rapidly dividing cells, including those in the immune system. Taking folic acid and intramuscular vitamin B12 supplements throughout the course of treatment can prevent the drop in blood cell counts. Patients may also experience loss of hair, brittle nails, and skin rashes. This is because Alimta inhibits DNA synthesis in these rapidly dividing cells, preventing new cells from forming. Alimta is eliminated through the kidneys. Patients should have their kidney function regularly monitored to ensure that damage has not occurred. What is the dosage of Alimta? Alimta is available in 100 mg and 500 mg vials and is administered by injection. Alimta is taken on the first day of a 21-day cycle: 500 mg/m2 IV Alimta is administered followed by 75 mg/m2 IV Cisplatin thirty minutes after Alimta infusion. Alimta is taken on the first day of a 21-day cycle: 500 mg/m2 IV Alimta is administered. Before starting Alimta, the patient should take folic acid and intramuscular vitamin B12 supplements and continue taking them throughout treatment. The patient should also be given corticosteroids the day before, the day of, and the day after treatment with Alimta to prevent undesirable immune system reactions (allergy). Dose reductions or discontinuation may be necessary depending on side effects, such as decreases in blood cell numbers seen from the previous treatment cycle. What are some drug interactions that may happen with Alimta? Use with caution when using pain-relieving medications from the NSAID class such as ibuprofen or naproxen. These medications can cause Alimta to stay in the blood longer, increasing side effects. For this reason, NSAIDs that are eliminated through the kidneys (for example, diclofenac, indomethacin) should be avoided 2 to 5 days before, the day of, and two days after taking Alimta. Other medications that are excreted through the kidneys for (example, probenecid) may slow the rate that Alimta leaves the body and may increase side effects. What are some warnings and precautions when using Alimta? Before using Alimta, patients should be given folic acid and intramuscular vitamin B12 to prevent low numbers of white blood cells, red blood cells, and platelets and side effects like nausea, vomiting, constipation and diarrhea. Patients with reduced kidney function should avoid using Alimta. They should also avoid using NSAIDS (for example, Ibuprofen). Alimta blood level will increase and result in increased side effects. Patients using Alimta should have their blood counts monitored regularly. A treatment cycle should not be started unless the total number of neutrophils (immune cells) is greater than or equal to 1500 cells/mm3, number of platelets is greater than or equal to 100,000 cells/mm3, and CrCl (measures kidney function) is greater than or equal to 45 mL/min. Low blood counts can reduce the immune system’s ability to fight off infections. Pregnancy: This medication is Pregnancy Category D and is toxic to the fetus during the organ formation phase when cells are rapidly growing. Nursing mothers: It is unknown if Alimta is present in human milk. However, because of potential harm to nursing infants, patients should either stop using Alimta or stop nursing. What is the cost of Alimta? Alimta comes in 100 mg and 500 mg vials that last for a 21-day cycle. A 100 mg vial of Alimta has a retail cost of $612.14 while a 500 mg vial has a retail cost of $3.027.72. PatientOne program by Eli Lilly may address financial issues that arise with Alimta coverage.